Google Serach Results: Locations settings. Altering Google search results for the region you need. Google searches now show results specifically from the region you are in. When performing Search Engine Optimisation I often use the various Google country Top Level Domains for searching. 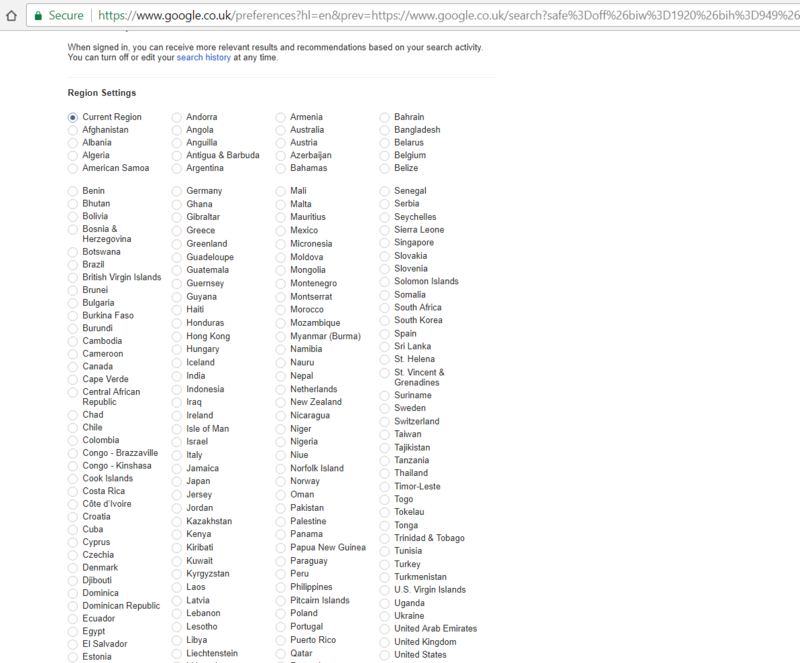 For example, if I want to search how a site is performing in Australia, I will use google.au; for New Zealand I will use google.co.nz and for my UK searches I use google.co.uk. Recently though, this procedure has not been working. Even if I am on google.au, I still keep getting UK results. The reason is that Google searches now correspond to a users location instead of a domain. According to this article on the Google Blog, from 27th October 2017 Google updated the way they label country services on the mobile web, the Google app for iOS, and desktop Search and Maps. 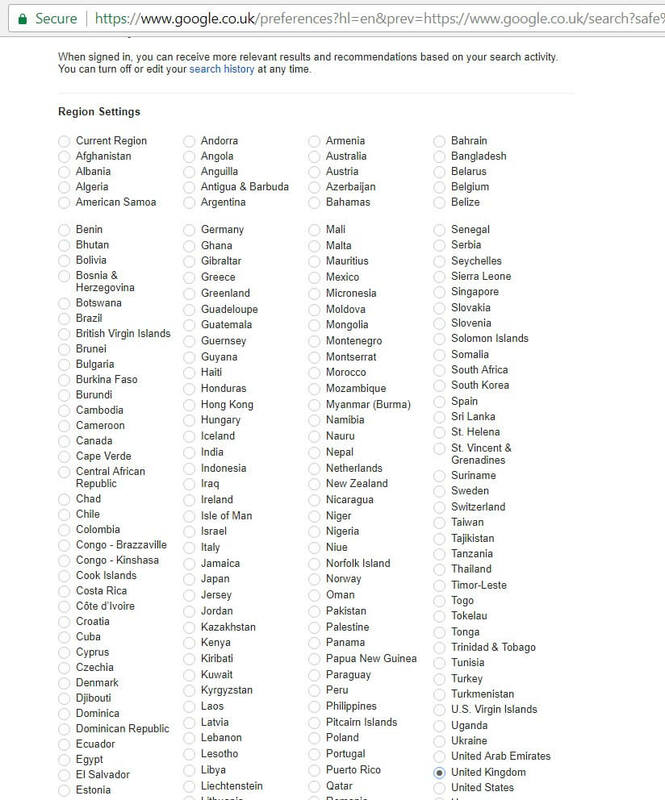 Now the choice of country service will no longer be indicated by domain. What is the impact and who will be affected by this change? The fact is that this won’t affect many users as they will be receiving the most relevant results. 1. Search Engine Optimisation professionals who need to look at various country results for their clients. 2. Business owners/Webmaster–Website owners/managers who have a multinational presence and need to check the website performance on Google in respective countries. 3. Tourists and travellers if they want to look for something from their native country. Thankfully, one can still go into the settings and select the correct country service as per the requirement.